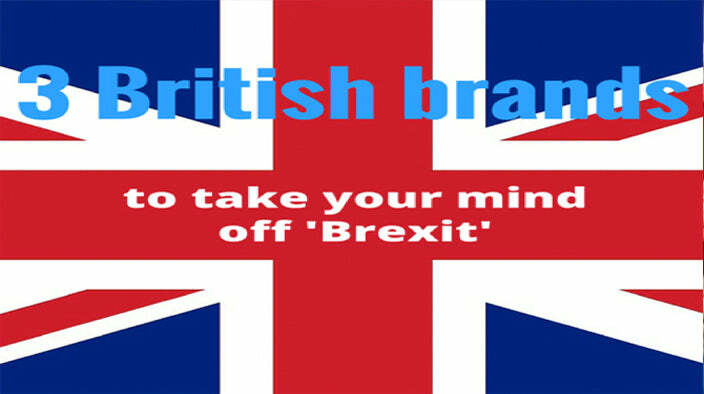 But with all this talk about B words – Brexit, Britain – it got us thinking about Brands. We’ve talked before about what buying British means to us, but today we’d like to show you some other British brands we’ve found on our travels. Based in Cardigan (Wales) this is an inspirational story of local boy and girl done good. David Hieatt was an advertising copywriter for Saatchi, and co-founder of the t-shirt brand, Howies, with his wife, Clare. And when the couple returned to Cardigan, they found themselves involved in a plan to save the town’s sewing heritage. After Marks & Spencer closed their jeans-making factory and moved production to Morocco, David and Clare created Hiut denim in 2014. And adhering faithfully to the strapline, ‘Do one thing well’, Hiut Denim only makes jeans. Including some very delicious Girlfriend jeans. Founded by Anna Brindle, Lost Shapes makes organic clothing that is fairly traded. Not only that, all the designs on the t-shirts, sweatshirts and textiles are hand drawn and printed by Anna. And the one we’re particularly lusting after? This purple unicorn t-shirt. Lost Shapes is also on Etsy. It’s a company that we mentioned recently, which also happens to have royal approval. Early Days, was founded in 1952 by brothers, Tony and Michael Bolton, and is now run by their two sons, Paul and Chris. In 2013, Early Days launched their ‘Leather Collection’ and soon found a fan in Prince George. Fast forward a few years and Princess Charlotte is also in on the act. She wore a pair of pink ‘Emma’ shoes when she appeared on the Buckingham Palace to celebrate the Queen’s 90th birthday. Unsurprisingly, the business has seen a surge in enquiries for their gorgeous leather shoes. And that ends our round up of brilliantly British brands. But we’ve only just scratched the surface, so see you back here soon when we showcase more ‘Made in Britain’ businesses.